What Is the Role of the Chapter 7 Bankruptcy Trustee? By Allmand Law Firm, PLLC|2018-12-17T19:23:28+00:00August 15th, 2018|Bankruptcy|Comments Off on What Is the Role of the Chapter 7 Bankruptcy Trustee? What Is the Role of the Bankruptcy Trustee in Chapter 13? 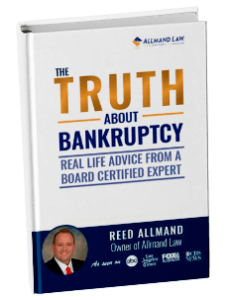 By Allmand Law Firm, PLLC|2018-12-17T19:25:57+00:00May 22nd, 2018|Bankruptcy|Comments Off on What Is the Role of the Bankruptcy Trustee in Chapter 13?